Last week, Will took some time to discuss a scene from Black Narcissus, a beautiful, slow-moving, dramatic moment that focussed on the relatively small action of someone applying lipstick. 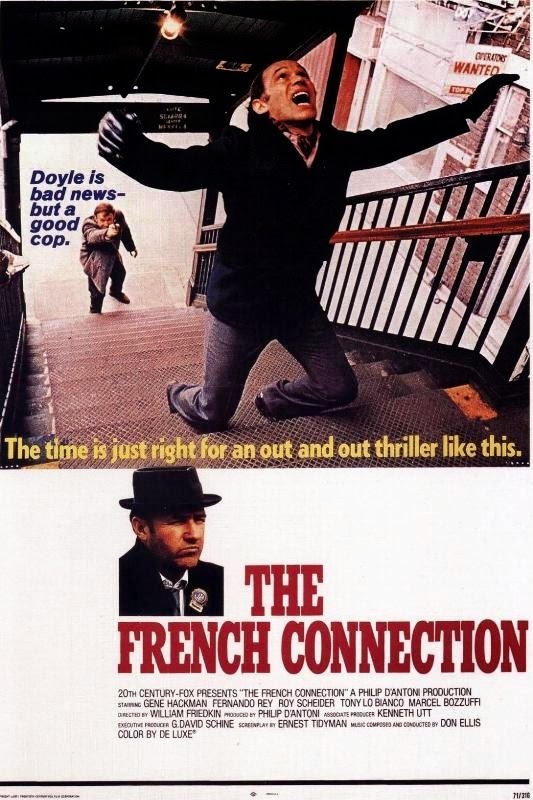 This week, continuing February's Oscar-Month, I'm looking at the polar opposite to that scene; 1972 Best Picture winner The French Connection's car chase. Police detective Popeye Doyle (Gene Hackman) has just had an attempt made on his life by a sniper (Marcel Bozzuffi), who is making his escape on an elevated train across New York City. Doyle commandeers a car and sets out to chase the gunman down, but unfortunately he hasn't banked on the sheer volume of New York traffic in his way, leading to my favorite car chase committed to film. What makes this scene spectacular isn't necessarily what's involved in the scene, but more the much-documented way it was made, in that most, if not all, of the segments spent careering through the oncoming traffic were filmed without permit or permission. All those cars coming in the opposite direction, narrowly avoiding potentially fatal collisions, are not manned by stunt drivers or set on rails, those are real people going about their day, unwittingly embarking on the most dangerous journey of their lives. I don't condone this kind of thing, but it harkens back to a grittier, more visceral time when studios were less terrified and took more chances. Think of Robert Redford running along the top of a moving train in Butch Cassidy and the Sundance Kid, or all the antics Buster Keaton almost killed himself doing. Sure, nowadays we get Tom Cruise climbing the side of the Burj Khalifa in Mission Impossible: Ghost Protocol, but it's not like he wasn't wearing a harness, and that scene took a great deal of meticulous planning. To hear The French Connection's director, William Friedkin, describe it, the scene shown above was made almost on-the-fly after he criticised stunt driver Bill Hickman's unsatisfactory attempts to produce a chase to Friedkin's liking. Friedkin himself operated the camera from the back seat as Hickman drove through the streets and across the intersections, as the director claimed that, should anything untoward have happened, his two regular cameramen both had families, whereas he was single with no dependants. All the dangerous shots were made in one 6 block stretch, reportedly travelling at around 90 mph without stopping (although the actual footage in the clip doesn't seem quite as extreme as that). The only thing present to warn the other drivers to get the heck out of the way was a police-style siren on top of the car, and the only way a city official allowed them to crash the elevated train was by giving him a $40,000 bribe and a one-way ticket to Jamaica, because he knew he'd get fired once his superiors found out (which, according to Friedkin, is exactly what happened). This guerilla film-making approach left the film makers with a limited amount of footage to work with, so the chase sequence is a real feat of editing, inter-cutting between the camera in the car, over Bill's shoulder (standing in for Hackman as the driver), the camera mounted to the front of the increasingly demolished car and various shots of Hackman, presumably driving at a much safer speed without endangering quite so many people not insured to work on the film, mashing at the pedals and pounding on the horn, but it all cuts seamlessly together in a highly kinetic, pulse-pounding way. And that's not even mentioning the fragments going on aboard the speeding train, as the assassin hijacks it, holding the driver at gunpoint whilst dealing with the guards attempting to apprehend him, resulting in a shoot-out and train crash. I don't blame today's directors for not utilising the more dangerous methods of making movies, and I can say for certain that if I were a film-maker, I'd be doing it in the most conservative, safest, most boring way possible, but that doesn't mean I can't reminisce about the old days, when schedules were pre-padded to allow the time the actors might spend in hospital. There's something more intense about watching a scene that feels spontaneous, that is missing from the perfect sheen we see on today's blockbusters, and I miss that. What's your favorite scene from The French Connection? AND what's your favorite dangerous movie moment? Amazing scene! Can you imagine what people on their way to work must have thought? "Oh man, I hope I'm not late for the staff meeti-HOLYSHITWILLIAMFRIEDKIN!!!" This would definitely be my favorite FC scene, but I can't remember much of the film to be honest. Haven't seen it in years. Some recent dangerous movie moments my mind jumps to are a few from Prisoners. The snake scene and when Gylenhaal is driving near the end. Intense stuff. And in terms of crazy dangerous filmmaking, The Abyss springs to mind. I just recently rewatched that and did some writing about it. 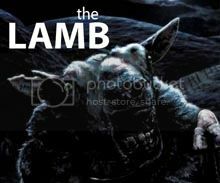 James Cameron was bonkers making that film.